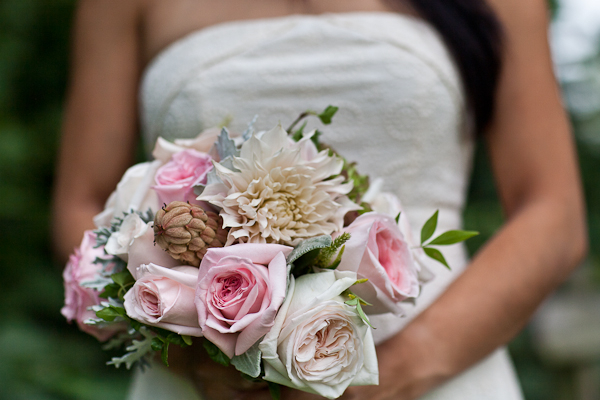 Today I am featuring some amazing bridal bouquets shot by my friend Vicki Grafton. Vicki is a DC-Northern Virginia based photographer and stylist. I have worked with Vicki on many projects so it’s a great pleasure to feature her photos on the blog today. We LOVE Vicki!!! 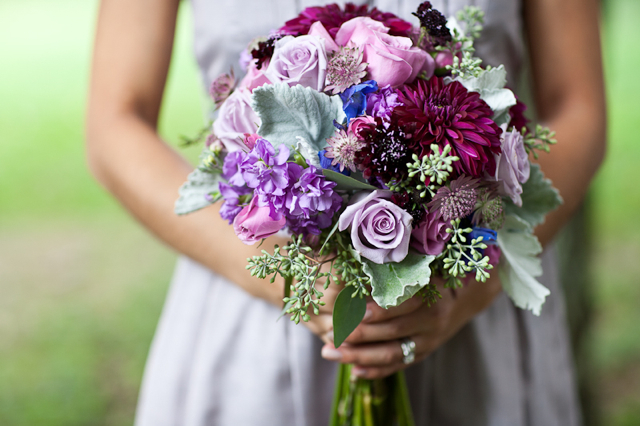 This first bouquet was created with lavender roses, seeded euc, dusty miller, magenta toned dahlia, lavender stock, astrantia, blue delphinium, spray roses, and dark purple scabiosa flowers. Stunner!! Hot pink coxcomb, magenta dahlias, pink ohara cabbage roses, seeded euc, and wheat celosia were anchored into a bed of antique green hydrangea. We gathered the wheat celosia from my garden and just love the magenta spikes flying from the bouquet. We also added a little pink calcynia to soften the bouquets. 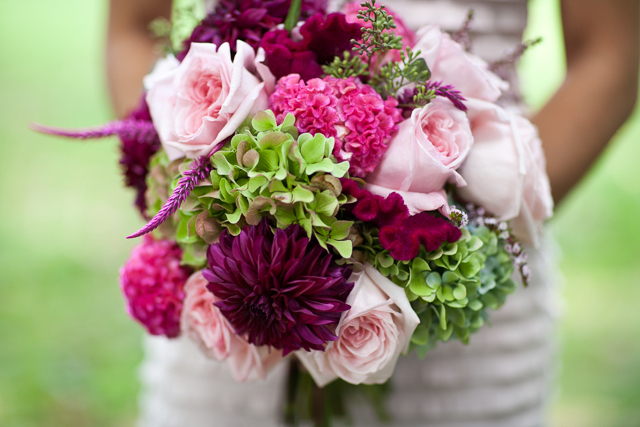 This bouquet was full of rich texture and depth!! 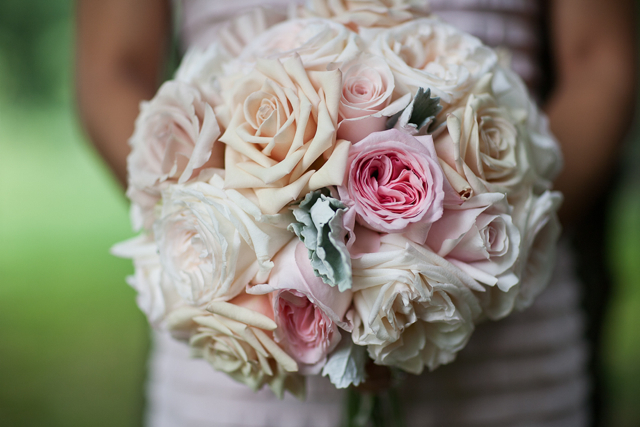 This bouquet was created with sahara roses, pink ohara cabbage roses, white ohara roses, pink candy bianca roses, and dusty miller. Classic romance!! Pink ohara cabbage roses, white ohara cabbage roses, cafe au lait dahlias, dusty miller, clematis vine and one magnolia pod were used to create this design. I love this bouquet because I stole that pod while taking a little hike with the family. For some reason I just had to reach out and take the pod, I can’t seem to resist when I find elements like this. When I started to create this bouquet I remembered the pod I had gathered with the children and I knew it was the perfect element to complete the design. This bouquet has a very vintage vibe!! One interesting thing to notice about these bouquets, 3 of the bouquets have many of the same ingredients, funny how a simple addition or subtraction of a petal can completely change a piece of art. Hope you enjoyed our bouquet day!!! the magenta/pink one has so much vibrance! the pink/white bouquets are so classy and shabby chic, but my favorite has got to be the purple one. i love the depth and variety of color! LOVE the first one – Reminds me of the bouquet you created for my wedding! Great job, Holly!